Abandon all hope, all ye who enter here, lest ye be puzzlers. 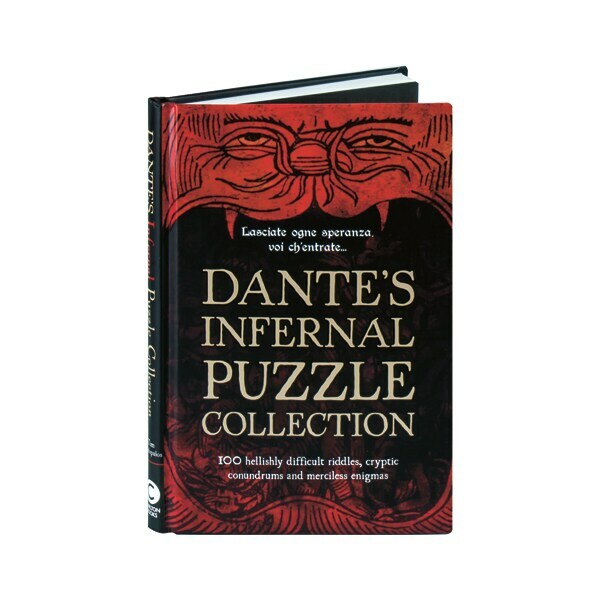 Inspired by Dante's Divine Comedy—specifically the ever-popular descent into Inferno—this book is filled with fiendishly tricky riddles, conundrums, and brainteasers. With difficulty levels ranging from "Damnation" to "Devil's Spawn," you will be invited to puzzle your way through nine circles of hellishly difficult verbal challenges. Classic illustrations of tortured souls appear throughout for "inspiration."